A throwback to a post from 2009 when I first started Long Island Daily Photo. 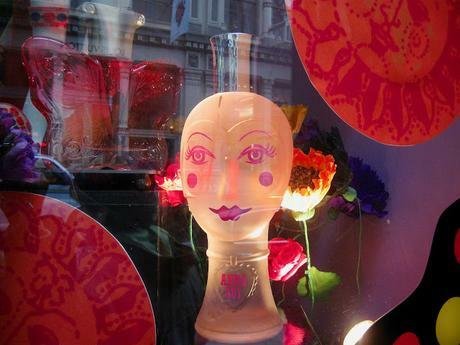 I remember how the vivid colors of Anna Sui's window display caught my attention and then I looked closer and captured this little corner of her display. You know something is good when it's still as delightful to look at as it was 10 years ago.